Eleven of cycling's leading teams have formed a lobby group called Velon, designed to develop and grow the sport. Velon wants to build a race calendar to engage fans throughout the season and bring in new technology to cycling. 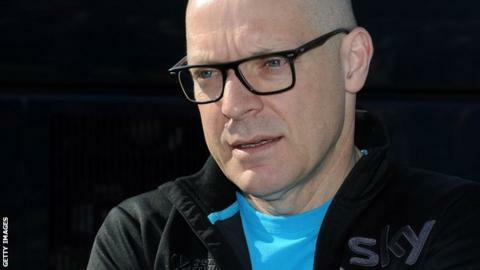 British outfit Team Sky is run by team principal Sir Dave Brailsford and is part of the group. "The teams involved have come together with a powerful shared vision to optimise the sport and develop new ways for it to grow," said Brailsford. "If the teams unite and work collectively to make cycling better to watch and easier to understand, it's to everyone's benefit. "It will encourage more fans to follow the sport." The other teams involved are Belkin Pro Cycling, BMC Racing Team, Garmin-Sharp, Lampre-Merida, Lotto-Belisol, Omega Pharma-Quick-Step, Orica-GreenEDGE, Team Giant-Shimano, Tinkoff-Saxo and Trek Factory Racing.